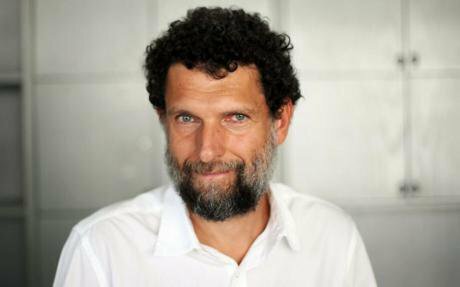 This article was originally published on 3 November 2017 under the title: Osman Kavala, Turkish Democracy on the Anvil. It was not long after Kavala had been jailed. Now he has been in prison for 100 days. We are republishing it to mark this dark anniversary which shames Turkey. Three weeks after it was published it was generously quoted by Kavala's high school class-mates outside his prison. In December we carried a personal history of his family's love for Turks by Nigel Osborne, that ends with a call for solidarity with - and the release of - Osman; and a Petition to the President of Turkey. Many other acts of solidarity, statements of support and articles on the significance of his role have appeared and can be found on the Free Osman Kavala website and at #FreeOsmanKavala. Including a short letter by Osman himself to the wonderful Hrant Dink on the anniversary of Dink's assassination in January 2007. Dink wrote two articles for openDemocracy and we publlished our tributes to him and an overview of his role after he was gunned down. openDemocracy will continue to support Dink's and Kavala's call for tolerance, human rights and openness. No one should read and hear said about themselves what I am going to write and say about Osman Kavala. There is a certain point where the praise of a good man or woman ought to be left for their eulogy. Not just to spare them the embarrassment, but for ourselves as well. How can we live up to being in their presence, when we have said that they are the incarnation of all that is good, generous, careful and humane? And what if they then faltered? No one should have to shoulder the burden of such praise. Nonetheless, I am going ahead. I have known Osman Kavala for more than thirty years. He is the incarnation of all that is good, generous, careful and humane. He is endlessly considerate, without snobbery, concerned equally for all, tireless and endlessly intelligent in his love for his country and its peoples. There are those who try to be good. There are those who are good. And there is Osman Kavala, who is in a league of his own. I have never known anyone as virtuous. That such a person should be alive gives everyone who knows him some hope, and this ripples out to those who are lifted by his unstinting efforts to overcome the pain of injustice and support dialogue and understanding. Now, after two weeks of being held in detention, Osman Kavala is faced with trumped up charges and ridiculous fabrications with the intention of incarcerating him for years. There are times when an appalling outrage is only an arbitrary miscarriage of justice; it may cry out to be overturned but is not systemic. On other occasions – for there is some truth in the saying that few good deeds go unpunished – scandalous injustice can befall those who are noble thanks to jealousy and resentment. But the threat to Osman Kavala is different. To say what is being done to him is wicked is not enough. Its consequences signal the potential implosion of a vast and beautiful country symbiotically joined to the Middle East, the Caucasus, Europe and Russia. First, there is the utter outrage that such a man should be behind bars. Everyone knows he is a person of peace. But second, he is very careful. He has always been aware of the dangers of seeking reconciliation. He has taken the time to build a network of connections within Turkey and internationally to ensure the standing and legitimacy of his efforts. I am not writing about a defiant or stubborn saint, but an exemplary networker and conciliator. Only a force that is coldly and deliberately hostile, therefore, could conceivably regard Osman Kavala as an enemy to be physically punished and confined. Unfortunately, the President of the Turkish Republic has put himself at the head of such a force. Perpetrating a travesty of justice, the President described Kavala as funding a terrorist network even before charges were made. Meanwhile, to accuse Osman Kavala of being a funder of terror is as ridiculous as accusing a giraffe of being a crocodile. It seems that President Erdogan went on to say that Osman Kavala is “trying to shoot this nation from inside”. This is an extraordinary phrase. It shows that Osman Kavala has got under Erdogan’s skin – in the way that only those who are good manage to infuriate and enrage those who are selfish. The connections are of a different kind. There is nothing secret that needs to be revealed. Osman Kavala represents Turkish civil society as a whole and the secular half of his country too, in a special way. He has sought to lift the stigma against Kurds and Armenians especially, to strengthen a secular, tolerant democracy. He works with neighbouring Greeks on shared environmental issues and to recognise the history of the population exchanges and Turkey’s Hellenic inheritance. The current, ongoing trials and jailing of journalists and human rights workers in Turkey are no less unjust than the threat that now faces him. But in a narrow way they could be seen as the regime defending itself. To jail Osman Kavala is closer to being an open declaration of civil war, one already experienced by thousands of innocent government employees purged from across the civil service, the universities and the judiciary, not to speak of Kurds under seige. So let me say a little about him. Tall, athletic and considered in his movements, he has a striking physical presence. Slow to respond, when he smiles he lights up everyone around him. He listens, a rare enough quality in itself. He absorbs arguments and weighs them. He is practical in a rather special way: he wants to help organise a better world. He is not a theoretician or a writer. He inherited a fortune from his father’s shipping company but is not himself primarily a businessman. Rather, he is exactly what all civilised societies need. A person who, thanks to being well-off and well educated, can dedicate their lives to the public good and understand the need to build access to culture and a sense of history. He applied himself to peace. In Turkey, this means acknowledging the harm done to minorities and giving them a full and equal place in the society. He worked tirelessly to bring the Armenians and the Kurds into the community of Turkish society. He has done so over decades, to help them to gain domestic legitimacy and international recognition, always abjuring the use of force. He has supported the peaceful, truthful expression of their history and experience, along with that of Greeks and Christians, to be shared by all Turks. He has worked to create spaces of shared truthfulness: galleries and exhibitions; helped historical restorations and assisted the organisation of seminars and research. At the same time he seeks to educate and persuade his fellow citizens of the need for liberty and freedom. This is why, to jail Osman Kavala is to imprison democracy itself.